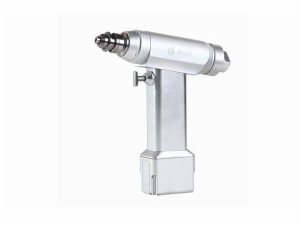 For application in drilling hole for plate and screw during trauma surgery. With the perfect shape of ergonomic design,whole unit is autoclavable,motor is imported,low noise,high speed,high proper alignment,long service life. The machine is warranty for 2 years. 2.We can autoclavable for 135 °C (Improved type ≤ 155 °C ),with 1.6Mpa,in this way the bacilli and virus which can not killed bythe suffocating will be killed. 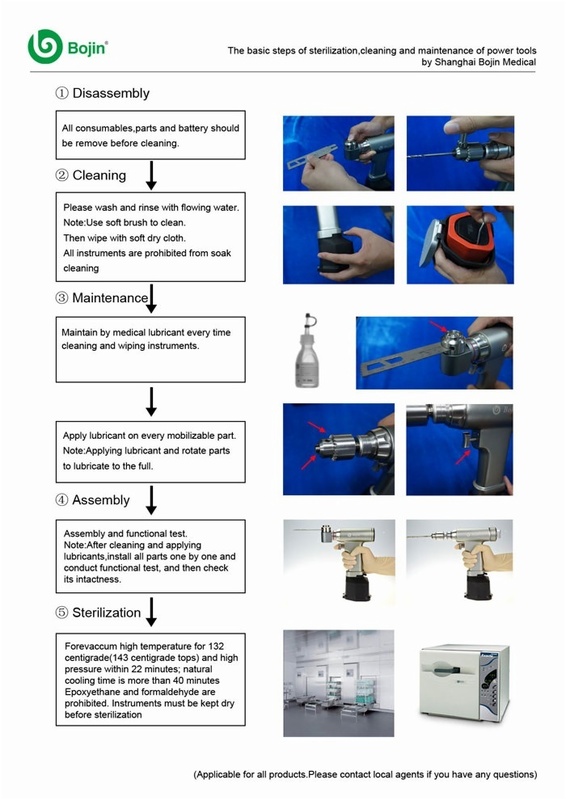 1.Sterilize temperature ≤ 135 °C (Improved type ≤ 155 °C ), if the temperature is over 135 °C , the motor will be damaged. 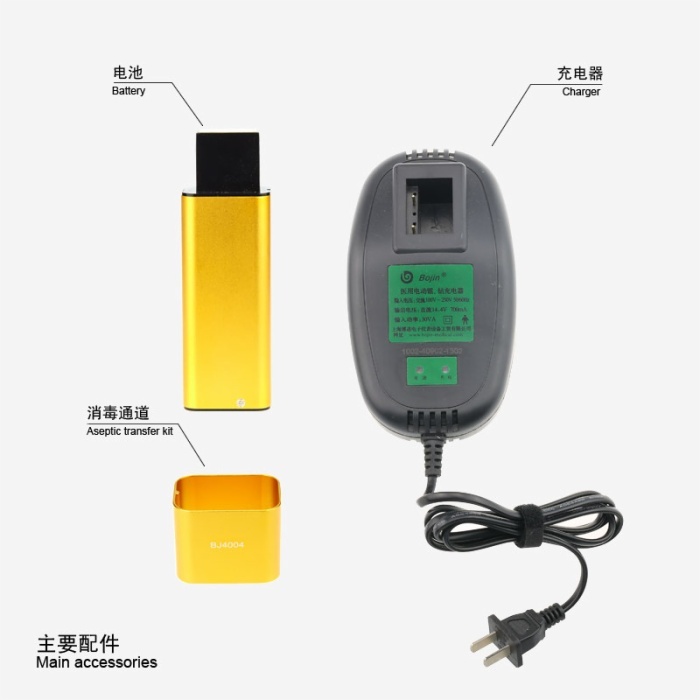 3.The battery need to be get out of the power tool after surgery.Otherwise the small automatic discharge of the electric will make the life of the battery short. 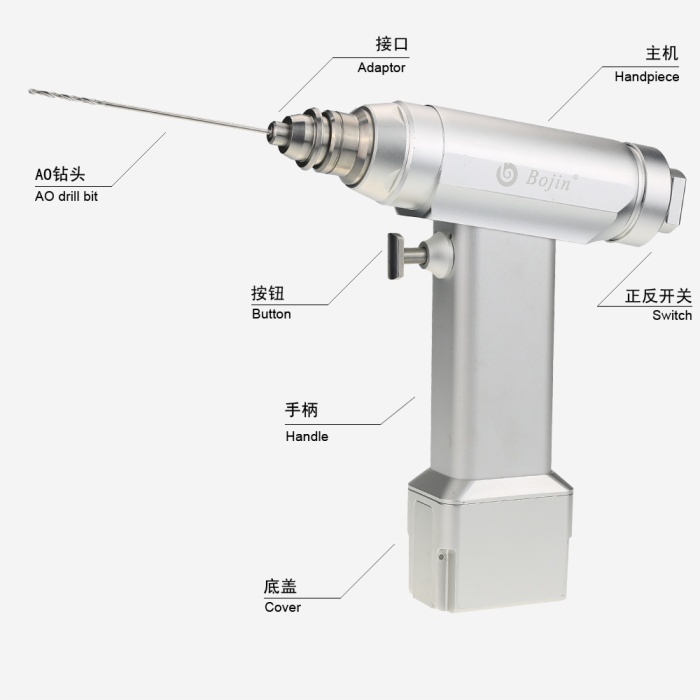 5.The cranial bur must be washed right after the surgery by purger in order to avoid the blood stick in the bur,then we should make it dry.